* Total number of reviews and star-ratings are based on data collected during the time period House of Heating Incorporated has been using the ReviewBuzz system and may not directly match the data found on each public review site. Called because my current furnace was in need of repair. Ended up needing to replace it. A couple days later I had a brand new more efficient Lennox furnace and air conditioning system installed. They fit me in during a very bad cold snap. Took care of all the registration and rebates. It’s been great since! Everyone was very pleasant and helpful. Great advice and excellent install. House of Heating has been our heating contractor for 40 years. Any time we have needed any service work, they have been very prompt about getting out to help us. Their personnel are very professional, yet personable. Happy to do business with them, and glad they are here! Lonnie and his team were wonderful. Would recommend House of Heating. Was the best pricing around as well!! Trust is very important to me. I trust Todd’s knowledge about the heating equipment, that he will match my needs with the biggest “bang for the buck”, and he service what he sells. I have also found HOF workers to be friendly, knowledgeable, and helpful answering my concerns. I trust the House of Heating. Lonnie was great, came out and gave me options, sent me the quotes when he said he would, got back to me quickly. Got me in for new ac and furnace quickly, and when I got home it was like they were never there. Totally cleaned up. Perfect transaction from start to finish. Highly recommend. Arrived when expected. All the workers were friendly and courteous. They were very careful with both removal and installation and cleaned up the area. I was very satisfied with the work. I had a furnace installed a couple weeks ago and am having central AC put in next week. Ken first came over to establish what size furnace I needed then dropped off literature detailing my 3 options. My warmed up to the kind man that did the major part of the installation. Everything was done in a kind and timely manner. Based upon comments from our sister-in-law and brother-in-law on their purchase and installation of a furnace from House of Heating that directed us in their direction, plus, a House of Heating repairman by the name of Dave has done some very satisfactory work for us and my wife was pleased by his previous work and wanted to do business with the company that he worked for. The furnace installers also did prompt and accurate work , to our satisfaction. Work began on time. Interrupted by holiday weekend and has never been finished. They went out of there way to squeeze me in as I had no heat at all. Overall they are a great company to deal with. The ladies answering the phone were very polite and knowledgable. Great customer service Todd was very nice to deal with he did a great job telling us all the features of the heater and air conditioner .I was very pleased with the House of Heating . The job was done very fast and very neat well satisfied . Todd was very nice and very helpful. Extremely professional, and clean job. Canvas on carpets & halls. Left no doubt everything was taken care of. Low pressure sales approach. Job was bid & completed within a week. The install left me with a couple hours of cleanup, but the furnace was installed straight and working perfectly. Wonderful group of people to work with. They are knowledgeable and timely with their service!! They did a good job. Cleaned up and put down walking rugs to not track in dirt. Replacement took about 5 hours with new duct work also. House of Heating Incorporated Team . 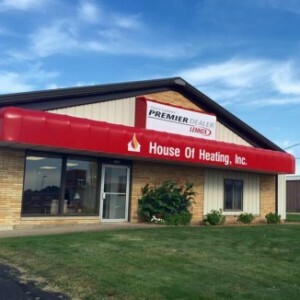 Customer service is always a top priority at House of Heating Incorporated. Our BBB Membership rating is like a badge of honor as we continuously strive to provide the best experience for our clients.